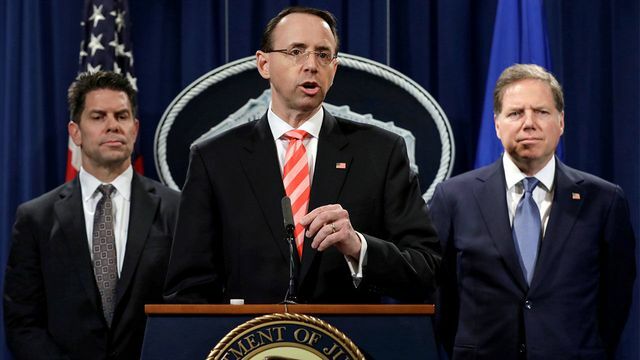 U.S. Deputy Attorney General Rod Rosenstein at a press conference announced the indictment of nine Iranians who allegedly stole data from researchers around the world. Modern computer hacks rarely require much tech savvy. Instead, they use social engineering to trick targets into entering login credentials.